The first in a series of three posters promoting the film, this one had Katherine as the scientific side of the investigation. 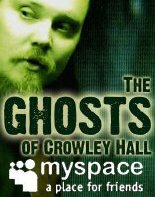 In late 2006, Arron Kasady, a keen ghost hunter, received a mysterious phone call from the owner of Crowley Hall in England. During recent renovation at the hall, some strange paranormal activity had apparently taken place. Workmen there were witnessing freak accidents, hearing strange sounds in the corridors, and seeing objects seemingly fly across the room. These occurrences began straight after some human remains were found buried behind a fireplace. Work at this point had been halted at Crowley Hall, and the owner Steven Newton was at a loss as to how to deal with the activity that was happening to his workforce. At this point he decided to contact Arron Kasady to see if he was able to help him. Arron Kasady did some research and discovered that Crowley Hall had a very dark history indeed, and that this is not the first time that strange things like this have happened there. His research proved extremely difficult, as all the records from the hall had been destroyed in a fire many years earlier. Nothing much else had been recorded about the strange occurrences there. There are no witnesses to the noises heard, and only a couple of people that were there during the ghost sightings have been tracked down. 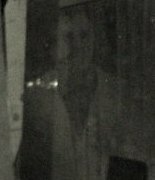 The only other evidence that Arron discovered was a photograph, taken in 1974, which appears to show a strange ghost like figure in the basement. Following on from this initial research, Arron decided to conduct a full investigation into the ghosts that apparently reside at Crowley Hall. Not much is publicly know about the strange phenomena and ghostly sightings that have happened there, so Arron thought this was a good opportunity to delve into the unknown and tell the story of the Ghosts of Crowley Hall. Arron spoke with Daren Marc, a local film maker and friend of Arron’s, about his investigations there. Daren was looking for a project to develop into a feature film at this time, when Arron suggested to him about collaborating on a movie documentary about the ghosts at Crowley Hall. Daren took a little persuading, as this wasn’t really the kind of project he was looking for. When he agreed to co-produce with Arron and direct the film himself, he soon became very eager to make the movie a success. They made plans to go to Crowley Hall with a ghost team and film crew and see what they could discover there. Arron has had an interest in the paranormal from a very young age. A Finance Manager in his working life, he uses all his spare time and money to study and find out all he can about the paranormal. In early 2004, he decided that he would start up his own ghost hunting team and begin proper investigations into the unknown. He began the search for other team members, first by asking friends and fellow enthusiasts if they were interested, and then by sending out adverts for ‘specialists’ to take part in investigations. By the end of 2004 the team were together and the investigations could begin. In November 2006, Arron received a phone call from a property developer that had recently purchased an old hospital. He was told of the strange occurrences and the history of the building. Arron jumped at the chance of beginning an investigation at the site. After preliminary investigations, he decided that this would be the perfect location to film a documentary on the exploits of the team. Ever since a car accident in which she suffered severe head trauma, Annabel claims she has been able to see spirits. Her first experience happened while she was recovering in hospital, and spirits of the recently deceased came to her for help. Afraid of the experience, she sought help from doctors and psychologists. When they couldn’t help her, she began seeking advice from others that seemed to share the same gift as her. After years of practicing, Annabel was able to use her gift in ways she could never imagine. She was able to see, hear and talk to ghosts, helping them to find their way in times of distress. She also began offering her services to assist those that needed help with the paranormal. She became part of the team when Arron came across her assisting a family at a location that he was investigation. So impressed by her ability, he offered her a permanent role in the team. She agreed and has been an important member of the team since. Katherine became interested in the paranormal after hearing many ghost stories that her grandmother told her when she was very young. These ghost stories stayed with Katherine for many years. As she grew older she became interested in finding out whether the afterlife really existed. 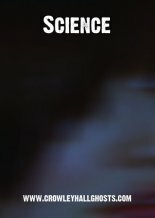 She decided that the best way to find out whether the paranormal really existed was to separate belief from reality and see what came out of it. Katherine decided to study for and gained her degree in Parapsychology, which she did in her native Canada. These studies allowed her have a more open-minded scepticism about the paranormal. It also taught her how to decide what could be considered paranormal and what could be natural occurrences. She became a member of the team after corresponding with Arron. After finding out about some of the work he was doing, she offered her services and has been vital member of the team since. She is often the calmest head in some of the more chaotic times the team has endured. lasses being thrown off tables, people seeing shadows, tables and chairs being moved in the night, but the thing that interested the team the most, ghostly screams being heard from down in the cellar. The workers at the inn refuse to go down there alone AND often don’t go down there at all in the evenings. Whilst I was recording Annabel with the handheld I picked up a small light anomaly that seemed to float around her head and then disappear. I called out to Albert to try and do that again and amazingly he did! I was pleased by this as it had all been recorded on camera. We had heard about Temple House through a local ghost hunting team that I have regular correspondence with. They told us of an investigation that they had carried out a few weeks previous that had yielded some interesting results. The ghost team was contacted by a couple who claimed to be suffering at the hands of a poltergeist in their own home. The home, based in the midlands, England, had supposedly been showing signs of a haunting as soon as they had moved in.